These are ecosystem affect each other deeply through TKO token. TKO with TKO with USD / BTC / ETH on P2PB2B the top 30 exchange with legal registration in EU. The TakeOff Projects aim to provide innovative tools for startups and investors. September 30, 2018 [Release] TakeOff News Search ver0.4 (Multilingual, Major 6 languages) has been released. August 4, 2018 [Progress] TakeOff Exchange (including TakeOff Exchange Payment) plan announced. Since we are engineers, we want to compete with technology. It is because we are convinced that it will benefit those who believed in us and invested. The prototype of TakeOff News Search ver0.75 and TakeOff Centre have already been released. TakeOff Projects are planned to be upgraded. Artificial intelligence gets smarter every day. How good we can create a service is directly linked to the price of our issued token, so we are seriously working on development. Please look forward to TakeOff Projects and TakeOff Center's startups services that will be released one after another. We believe that the time will come when it is recognized that good things are good. For everyone who agrees with our projects, it is our mission to continue developing technology, provide many useful services to the world, and increase value of tokens. Search Engine for investment-related news. 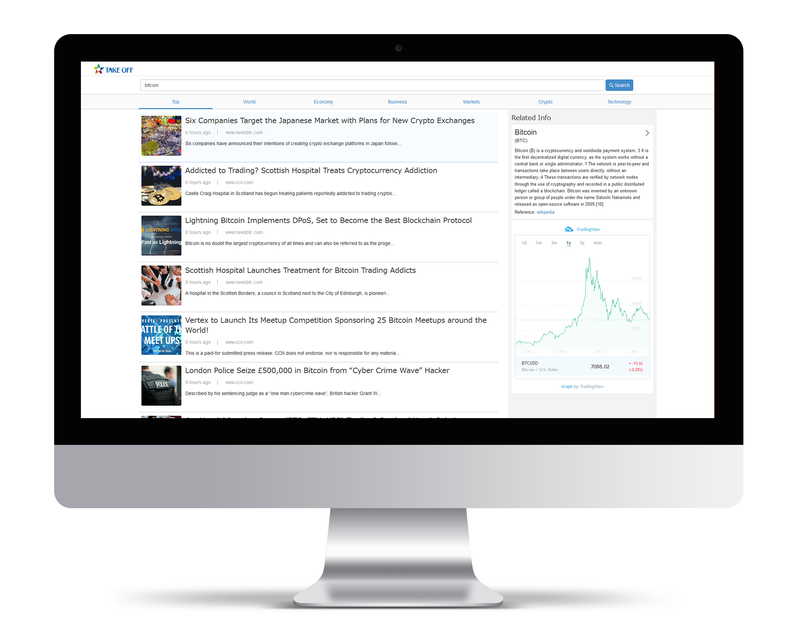 This is a tool that helps investors understand market trends by searching and analyzing investment-related news. Support Platform for startups. Investors using TakeOff Search Premium Service can view information (including private sale) on the startups it supports. For the latest information please visit TakeOff Centre. Trustless and High-Speed-Tradable Decentralized Exchange which realizes high liquidity. Including Decentralized Multi-Token Payment (TakeOff Exchange Payment) TKO token and startups' token will be listed on it. 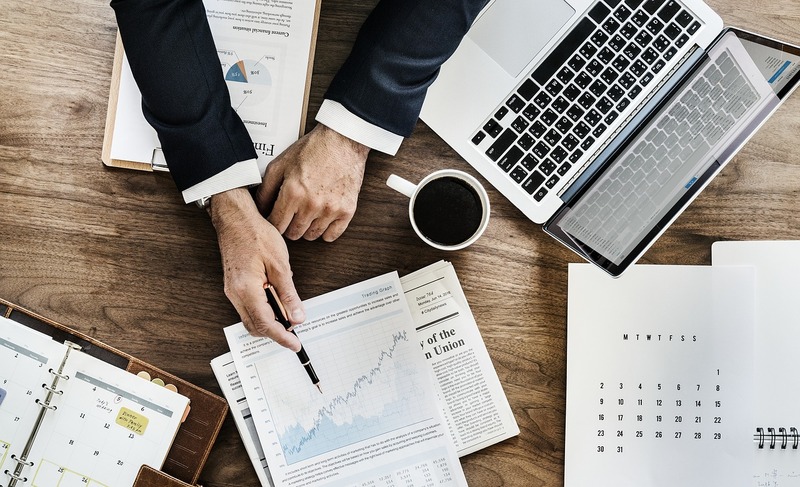 We provide investors with useful tools by TakeOff News Search, connect investors and startups at TakeOff Centre, and provide a place for trading original tokens issued by startups at TakeOff Exchange. Furthermore, startup’s services make mutual utilization of the original tokens via TakeOff Exchange Payment, and increases the liquidity and the value of each token(including TKO token). This is our business model. 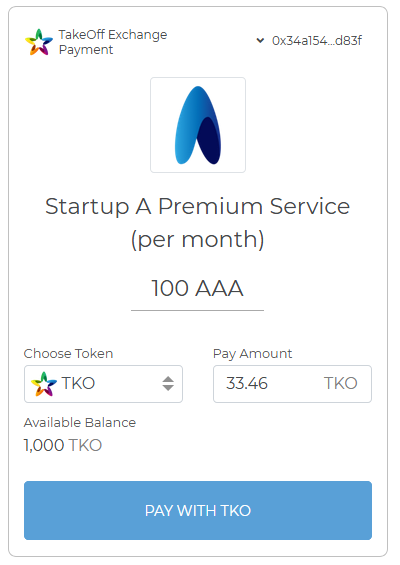 TKO token will be (1) a utility token for service fees provided by startups supported by TakeOff Centre. The more startups "takeoff" from TakeOff Centre, the more value TKO token gets. (2) used in TakeOff News Search and TakeOff Exchange. (3) one of base assets on TakeOff Exchange. For more specific information please read the whitepaper. In 2007, there was a project to develop search engines in Japan, but it did not work. It was a large-scale project launched by the Ministry of Economy, Trade and Industry, called the "Information Voyage Project", with a national budget of over $150M spent. We were very sorry about that, we tried and tried to make our search engine, developed and accumulated know-how over seven years, and finally succeeded. That is the core of TakeOff News Search and the next project "Regional Information Search Engine" (Check Next IEO on TakeOff Center). Today, our search engine technology was born in Japan and grew up in Europe, organize the collected data by AI, and continue to grow to be able to convey accurate information to users. TakeOff News Search is a Search Engine for investment-related news. 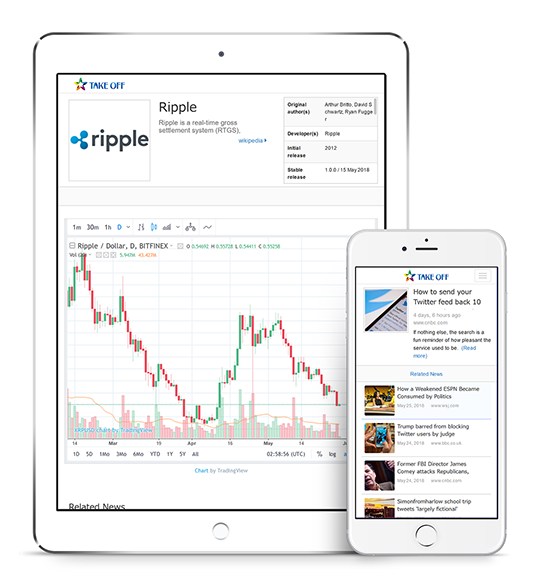 This has Search Engine and AI, extracts related news, people, companies, virtual currency from news by AI and natural language processing and displays it along with stock chart and virtual currency chart. Try TakeOff News Search This service can be used with smartphones and tablets in responsive design, but you can access a lot of information with a big screen, so please try it on your PC. AI is currently learning with teacher data, and we are developing AI using deep learning. TakeOff News search will be more smarter, more faster, and it comes to deal with more data. TakeOff News Search ver0.75 has been released. TakeOff Centre is a support platform for startups. Projects supported by TakeOff Centre are underway. For details, please refer to TakeOff Centre’s support schedule project details section of the whitepaper. For latest infomation, Check Startups with TakeOff Centre. For each startup (another corporation that is not TakeOff Technology OÜ) will implement and provide service products. TakeOff News Search Premium Service users can receive announcements about private sale of each project supported by Takeoff Centre, prior to public announcement. TakeOff News Search Premium Service is currently under development. The commission for comprehensive support by TakeOff is between 15% to 20% of the funds raised by startups. TakeOff gets 10% to 20% of original token issued by each startup. 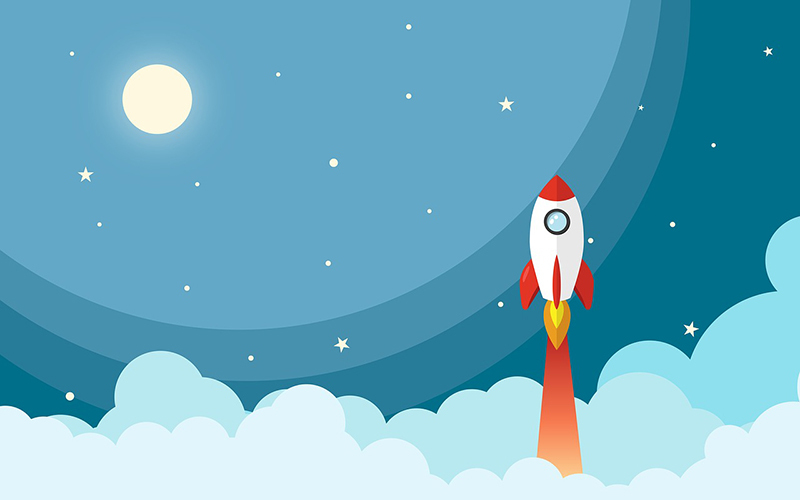 In order to increase the value of original token issued by each startup, TakeOff Centre will support each startup continuously for management, technology, legal and many other aspects. Startups supported by TakeOff Centre do IEO(Initial Exchange Offering) on TakeOff Exchange. TKO token and original tokens issued by startups support by TakeOff Centre will be listed on the TakeOff Exchange. For original token issued by startup (TakeOff Centre acquires 10% to 20% of total supply) and TKO token, it can make trading possible with narrow spreads and lower exchange fee than any exchanges. TKO token can also be used as utility tokens for usage fees for services provided by startups supported by TakeOff Centre. Similarly, original tokens issued by startups can be used mutually as a service charge for startups. Figuratively speaking, tokens representing admission tickets that can be used at amusement park A can be used at museum B, and vice versa. TakeOff Exchange Payment realize that. This will increase the liquidity of the original tokens issued by startups, including TKO token, and the value of these tokens are expected to be improved. For Trader, TakeOff Exchange offers interface of realtime OrderBook, charts, and transaction history which the other leading exchanges have. A part of TKO token TakeOff has, and a part of token attained from the startups that TakeOff Centre supports are transferred to the token pool. TKO token and Original tokens will be listed on the TakeOff Exchange. TakeOff Exchange will start dealing with the major currencies. 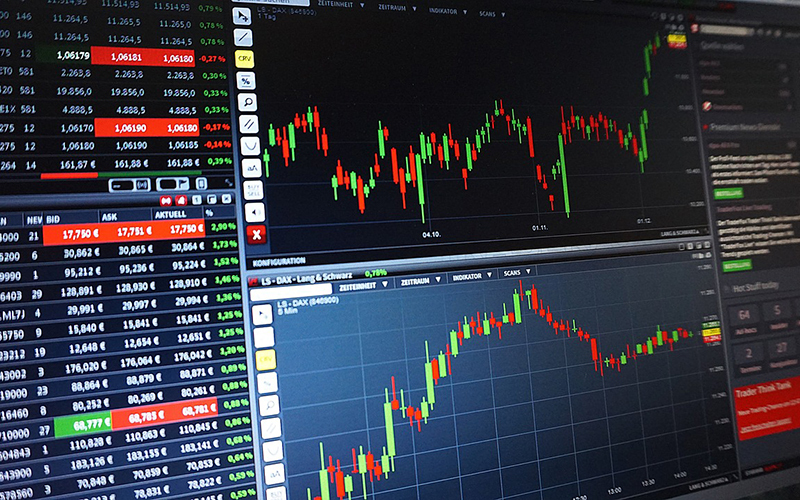 The currencies will be purchased using a part of token pool and a part of sales by TakeOff Exchange (transaction fee, spreads, and payment transaction fee). TakeOff Exchange Payment is a Decentralized Multi-Token Payment service. It accepts any virtual currencies and tokens that are available on TakeOff Exchange Payment. For example, you can use it for buying products on EC websites, payments for web services, purchasing tickets, etc. In particular, you can use it for payment to services of startup supported by TakeOff Centre. TakeOff Exchange Payment executes the payments trustlessly through an easy-to-use interface(dApps). The interface of payment is displayed as a part of a webpage of each service, and the payment will be completed by just a few clicks with metamask or dApps browser. Each token becomes available as a payment token for the actual services, so the liquidity of tokens will be higher. As a test case of TakeOff Exchange (+ TakeOff Exchange Payment), we are planning a project to experience purchasing. We consulted one of our sponsors, who is descendant of the former Daimyo family of Japan. Then, in order to preserve the traditional culture all over the world as well as Japan, we will have to make an organization, so it was an opinion that it would be better to make a project that meets the purpose. 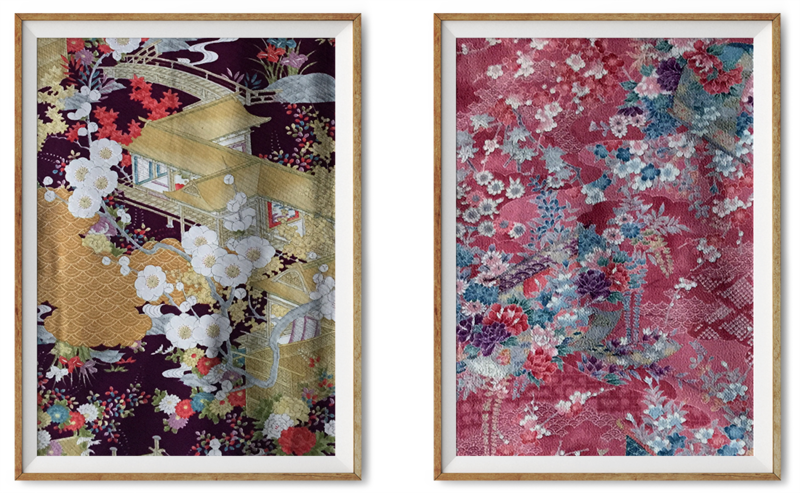 For that project, we got permission to use hundreds of kimono the sponsor own. As introduced in movie SAYURI, one of kimono is very valuable, from tens of thousands of dollars to several million dollars. Although details are yet to be determined, we asked our experts in management of our alliance to formulate a project. The current Roadmap is as follows. We will keep it updated. Current Startup's Projects supported by TakeOff Centre are underway. 2019 Q1 IEO of "Search Engine for Regional Information" is scheduled. August 4, 2018 TakeOff Exchange (including TakeOff Exchange Payment) plan announced. Current Under developing prototype of TakeOff Exchnage. The roadmap is announced only after when we have seen the light at the end of the tunnel for development. Because we are developing unexplored services, the schedule may become earlier or delay. Even so the roadmap may change due to regulations. 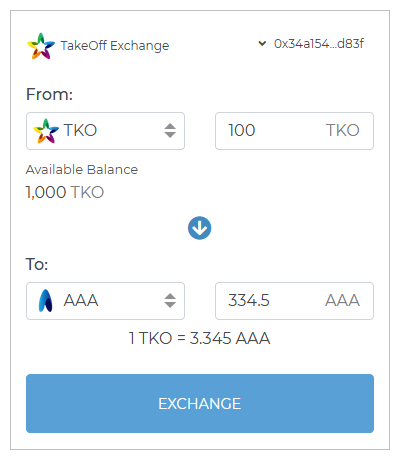 TKO token (SmartContract Address:0x4e676548d262ea27825aa9c5150121af65dfa304) is implemented as a utility token for service fees provided by startups supported by TakeOff Centre via TakeOff Exchange Payment. The more startups "takeoff" from TakeOff Centre, the more value TKO token gets. The TKO token can be used in TakeOff News Search and TakeOff Exchange and will be one of Base Assets on TakeOff Exchange. Also, sales of TakeOff Centre will increase, and TKO token linked with the value of the business will also increase in value. Part of the tokens held by our company TakeOff Technology OÜ (35% of the total supply) and the tokens (20% of the total supply) held by our partner companies are locked up (55% of the total supply) for one year after it is listed on the first exchange. The mass sale of TKO tokens in a short period leads to price breakdown of TKO token, which is not favorable for our company. So, when releasing TKO tokens to the market, we will gradually release TKO tokens in a way that preserves the added value of the token as much as possible. TKO token do not represent usage rights of any TakeOff services. In addition, It do not represent any securities such as TakeOff stocks or bonds. Our company TakeOff Technology OÜ is an Estonian corporation (Private limited company (OÜ)).